Is about “postureo” or explaining how we are? The coloq. posturear 'Act postureo', and east of position and -ear. 1. m. coloq. Esp. artificial and impostada attitude taken for convenience or presumption. In December 2017, the RAE it was decided to include the term postureo in the reference dictionary. Long ago social media invited to think that many times, what many people shared was pure postureo. It began with networks like Facebook, But it reached highs with Snapchat, Whatsapp and Instagram. The difference is that Snapchat and WhatsApp are usually closed environments, while in Facebook or Instagram can be public if you so choose it. Publishing a picture in witch we practice a hobby is postureo? The question arose to explain some of the advantages of exposing certain parts “secret”, referring to the Johari window. Specifically, we showed in screen three images: a girl doing sport stretching, two people playing chess and a volunteer helping in the dining room of a old people's home. Our values: Should we explain them or transmit them? “Hello, I am disciplined, empathic, patient, solidary”… Does not it seem somewhat forced, even postureo? Is it not better prove it than just say it? An image of a person in a chess game conveys much: patience, strategy, temple, mental agility … But it must be real, not imposted, otherwise we fall into postureo. The bubble effect of social networks can be negative, and also an overexposition. But the worst is deceiving, pretending who you are not, creating a character. That's against our personal brand issues, without a doubt. 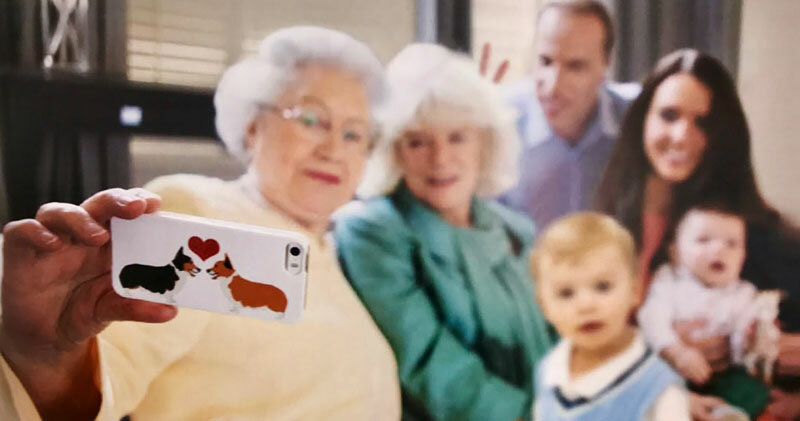 Selfitis: Is excess of selfies a disease?? That's what it looks like. I read recently in La Vanguardia “…when the action is repeated constantly and compulsively it should be defined as "Selfitis". This is indicated by the survey published in the International Journal of Mental Health and Addiction by researchers Janarthanan Balakrishnan and Mark Griffiths”. I rather think abuse of selfies is an attempt to satisfy “fans” by some people with large communities. It happens that when they publish a self-portrait (selfie, above all), they generate more likes than in an image, of, a beaultiful sunset. Postureo or explain how we are? Definitely, I think the exhibition of images or videos that meet our hobbies, passions, It can be a good way to show how we are. With measure, without abuse. And if it can be, with certain elegance, much better. I like Instagram, I think it's a good complement of networks like LinkedIn (where we explain who we are) or a personal blog. The problem, as Andres Perez Ortega as related in his post Internet era Instagram, arises when this network is our only means of communication. There is no single social network covering all areas of communication, even YouTube. And I fully agree with you, dear Andrés: there's nothing like a blog. The 23 October in Cádiz I meet Andres Perez-Ortega, David Barreda, Eva Collado, Elena Arnaiz, in the second space Knowmads. We will talk about Personal Branding, Knowmads, Professional development and much more. It is open and free. It will celebrate the day 23 October, profile 9:30 a 13:30. In the hall of the headquarters of the Confederation of Employers of Cádiz. Marconi Avenue number 37, Cádiz. Cadiz is facilitated by the Cajasol Foundation. Registration on this link. https://www.guillemrecolons.com/wp-content/uploads/2018/10/postureo.jpg 500 1200 Guillem Recolons https://www.guillemrecolons.com/wp-content/uploads/2018/07/Logo-Guillerecolons-300x240.png Guillem Recolons2018-10-07 11:00:332018-10-08 15:23:59Is about "postureo" or explaining how we are? A few weeks ago was the human connection in the post title Can we promote a culture of human connection in the era of machines? Following up on the ideas contained in that article, Today we highlight in this post collaborative findings of two events that have occurred recently and that point in that direction, on the idea of ​​achieving a more human world in the era of machines. The first is the recognition by the Elon Musk (Tesla) that automation is not always synonymous with effectiveness. This follows from article signed by Xataka Raul Alvarez, Production problems in Tesla are due to excessive automation. Humans are undervalued. Reading it follows that perhaps Musk's vision of an automated world is not possible without human connection. Similarly to what differentiates a human of a machine is the ability to err, we see that intuition, experience and empathy are still -of time- heritage of us humans. Artificial intelligence as such is still in diapers because currently only a product is a cross algorithm massive data. This lack of agreement is precisely the lack of knowledge still has on the functioning of the mind and soul as such. It is not a matter of neurosciences, It is a matter of what appears to be quantum physics. They can not do anything just with the brain of a person ... "the person needed"
Hater, why you wrote that? These recordings have been captured in the podcast titled Marron: “Conversations with people who hate me“. As he himself acknowledges, That will not bring peace in the world, but he says he has caused a stream of empathy with his goons. “Empathize with someone with whom I am deeply disagree suddenly does not erase my deeply held beliefs or approve theirs”, warns. “I am simply recognizing the humanity of a person to whom he taught to think in a certain way, someone who thinks so very different from me”. Brown admits in the background we need to lay the foundations of a more human world. The common bond of the two stories is evident: we need to put mechanisms that allow us to humanize. Humanizing companies (If Tesla and many other). And humanize the relationships that occur in digital environments. I remember an old announcement of the US Army as US soldiers cross threats Afghan soldiers. All wear sunglasses. At the moment they take them, They realize that people are equal, of the same species, and aggression becomes in confidence. It may seem superficial reduce the idea of ​​a more human world to a concept such as Human Branding (Branding humano). But each brings its grain of sand in the field in which it is competent, and can hence all those who are dedicated to this we share a greater purpose than helping a few people. It is the time when happen to be more human.. more people! Recalling the capacity intellectual and physical development of the Greco-Roman era, touch feed and grow those capabilities that will differentiate us, for a few years, any drill Artificial Intelligence. Everything is governed by patterns, automation and lack of nuance, succumb to robotización. We are human, we are very different people from each other, to provide the best for this new era we even lead to be able to combine people and machines towards the human race and not its Extermination. A more humane world is possible. 24 April in Barcelona > I give a talk on Personal brand for entrepreneurs in Inceptum Foundation (c / Rector Triadó 31 from Barcelona) of the 19h, free entrance. Sign up here. 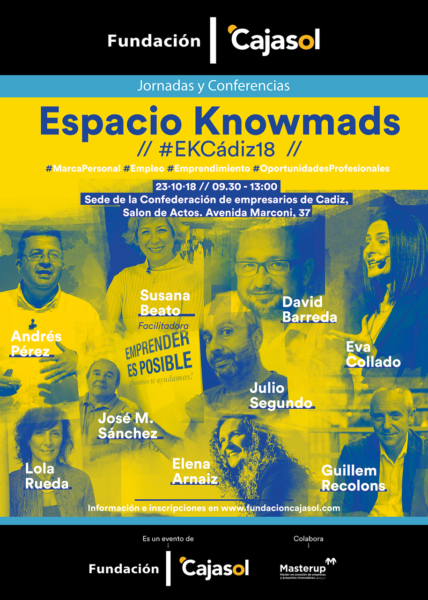 9 May in Huelva > Participated in the week # EKHuelva18 “Knowmads space Huelva” sponsored by Cajasol Foundation and organized by the great David Barreda, where I will meet on stage along with David Andres Perez Ortega, Eva Collado Durán, Elena Arnaiz and Adela de la Mora. Free registration (there are few places) here. 2 to 6 July in Barcelona > Course > Brand staff to differentiate yourself and achieve your goals “the Joules” at the University of Barcelona. five mornings, that intervene Mari Carmen Martín Muñoz, Paula Fernández-Ochoa, Francesc Segarra, Emilio Rodriguez and William server Recolons. Entries in this link. Isn't it?, I do not invite you to become anti-system, He does not go around. It's just that our society, It has historically overvalued normal. We are children of the generation stealth and discretion. Son, do not do this, anyone who does not. Son, do this, which it is what everyone does. The story has changed, and will continue. According to the report “Work in 2033” PwC, “Distinguish between the large crowd will be the great challenge for workers, on the other hand, They require companies a new model and working relationship that allows them to work independently and for several employers”. Normality is overrated: today, If you do what everyone else does, You're not going anywhere. He has completed a degree and a master's degree is no longer a differentiating element. Perhaps what is relevant, you have acquired new skills, but your 200 classmates also. How do you ensure you choose you for a job, and not the other 200? Accumulate 10 years of professional experience may seem Differential, but if we look at our side, We see thousands of equals. In the field of securities, volunteer of an NGO, although neither is interesting differentiator. Having a blog is great, but many professionals have one, and updated. Where can then be the difference? This is not to pull the rabbit out of the hat, It is as simple as SUMMER. I explain: if in addition to having studied a degree, mastered a foreign language, You have any professional experience, You do volunteer work and have a blog, I assure you will be a single person in the world. The key to all this is to consider our values ​​and personality traits and emotional attributes that, coupled with rational, make a difference. It is you see what our value proposition. Often it is considered that the difference is due to factors image (Josef Ajram and their tattoos, for example). The media drive that belief. But nothing is casual, a type as Ajram is no different in appearance, it is to defend a differential investment model (trading) and seek improvement in everything he does (sport…). 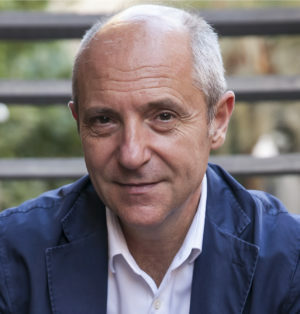 The teacher Xavier Sala i Martín is no different for wearing colorful jackets, it is to explain the economy through similes easy to understand for laymen and for being professor at Columbia University. This week I completed a process personal branding exciting with Dr. Salvado. He is someone who beyond his excellence as anesthetist, He got down 30 kilos weight, prepared to complete two ironman and create a catalog of health services out of the ordinary in a profile like yours. Beyond Health (beyond health), It is the essence of your project. my admired Paula Fernández-Ochoa is lawyer, legal marketing specialist, personal brand, and last but not least is a consecrated athlete, whose account Instagram @vivircorRiendo makes it an exceptional professional. Specialist human capital and colleague Eva Collado Durán It is also an expert in personal branding and social networks and digital transformation. That distinguishes it from any manager, the trainer consultant RR.HH, adding the value of the sum. And to add more, It is an emotional connector cream. The brander staff Helena Casas It is also a scavenger emotions, psychologist and photographer, digital marketing expert, singer… His vision of personal branding is 360, which places it in a plane beyond the expectable, of normal. My good friend and humanistic digital, Joan Clotet, is a knowmad in pure state. He works in a large organization, but is an entrepreneur with multiple projects add up your personal brand, and also to your organization. Of course, knowmad find an organization it is out of normal. summarizing, and not frustrate expectations, not overreact. It's not about being an extraordinary person, just bring entrepreneurial DNA regardless of whether you have a single client (employed professional) or many. And that DNA It comes from the sum of powers, values ​​and concerns. Within a focus, of course. Is, put it in some way, the perfect personal brand. It is interesting expression “the changemakers“ used by the authors of "Social Selling”, Tim Hughes and Matt Reynolds (Kogan Page, 2016). 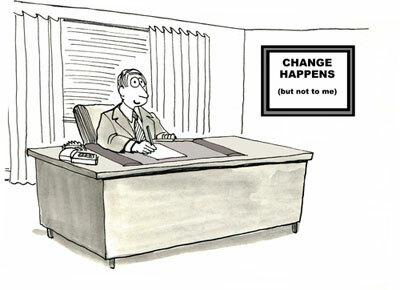 We might translate literally as "change makers", although the most accepted term is "agents of change". Without a doubt, business drivers in organizations are sellers (commercial, account managers…) with executives who make the big decisions. But with the fourth revolution He has emerged a new figure: the Changemakers or change agents. My colleague Eva Collado defines these the changemakers as informal leaders organizations, connected, formed, informed, and they end up taking key decisions before taking the big managers (Hughes calls C-Suites). Raquel Roca rather call Knowmads, these nomads of knowledge that many believe are always free agents, but really also we found in companies working for others. Executives of organizations no longer have only mission is to make the big choices, manage teams or clients. Top priority, in the connected economy, It is acting as the changemakers, as change agents. But, why? Because Yesterday does not exist, although the brand has left the morning can affect us. And the decision, the change process, must be taken today. This temporary gibberish may be the key that justifies these new executives engaged as agents of change in a difficult environment. We live in Moving Waters, where not only past successes do not guarantee future success but deny them. this barrizal, formed by atoms and bits (real and digital) It requires changing the mindset of executives to adapt to unforeseen situations, not yet discussed in case studies of business schools. If once we thought that failure is the prelude to success, now we should understand that change is the lever survival and growth. And that's where I see the true sense of change. The people, First. Organizational culture, after. And the digital transformation, at the end, as one of the shift line. The mistake many executives in organizations is trying to implement digital transformation without having worked through a change of people and corporate culture. Start cart before the horse. We often get carried away by words rather than concepts and action plans. The executive branding is a process of personal branding plan for change agents, for professionals who must decide and manage the transformation. Some business schools have already included in their training plans. But in my humble opinion and based on my experience, executive branding process is closer to the consulting training. We can not consider an individual who must make critical decisions as if it were a collective. Branding for change agents is a very introspective process, that personal values ​​play an important role, and where empathy becomes the lever of transformation of persons and equipment. Organizations are its people. And those who run them should print your DNA and enrich corporate values ​​too poorly differentiated. The executive branding is not intended only empower executives to develop your personal brand or train them in digital skills. It should be more ambitious and tidy, with the idea of ​​managing a permanent change in people, culture, organization and business development. Just so you can reach the digital transformation, a concept that has left 15 O 20 years of existence until millennials and centennials reaching positions of responsibility. -and not dwell protect some method- desglosaré not process executive branding, but the resources needed to carry out. Because for me it is consulting, are a bis aa. But a consultant to a "client", but from a computer to a customer. Introspective part requires, in my view, a person trained in psychology. Lately it has focused much self-knowledge in coaching, but I refuse to believe that four or five years of training in psychology can be compared to six months or a year of coaching. If there besides psychology coaching training, much better, but it is not essential. The strategic part requires two key elements: on the one hand someone with experience mentality and strategy, and someone with managerial experience and cultural transformation. Finally, the communication part requires someone with expertise and experience in this area. Someone who can not only develop but accompany an action plan to put the value proposition and change the service of the organization and its main stakeholders. In summary, I would say to forge a changemaker are needed the changemakers. You have an inspiring week. Dedicated to Christian Fernández, a true changemaker. And my good friends psychologists and branders Helena Casas, Fran Segarra, and Elena Arnaiz.